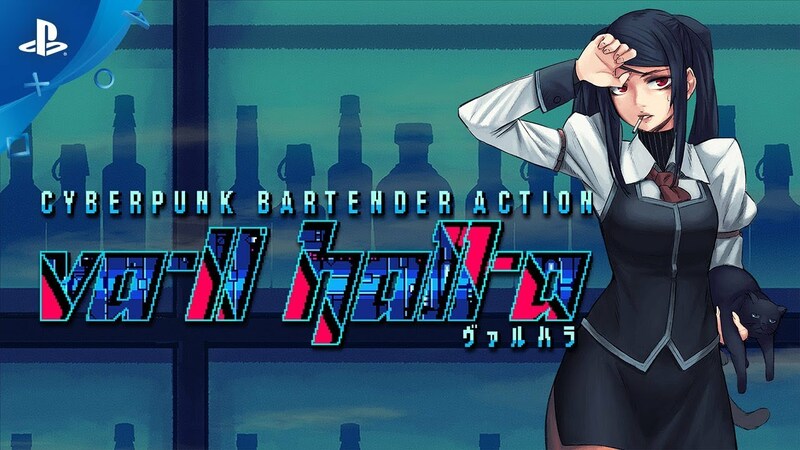 It’s time to mix drinks and change lives in Sukeban Games’ tale about bartending in a cyberpunk dystopia. 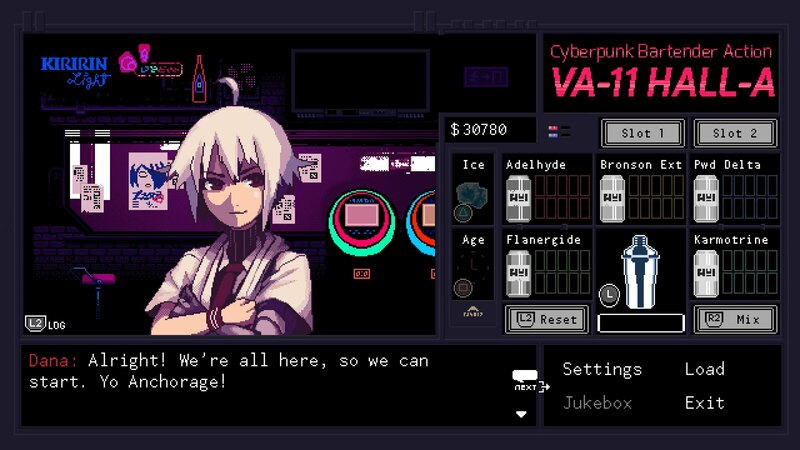 In case you’ve never heard about VA-11 Hall-A: this isn’t a game about glamorous heroes toppling governments in a cyberpunk future. 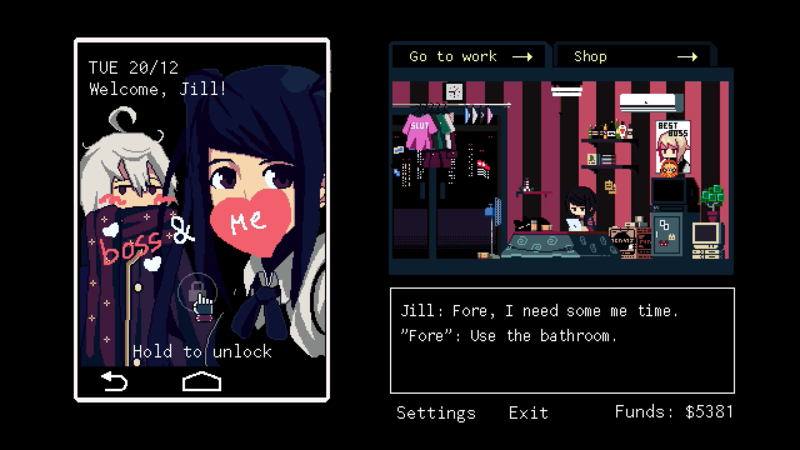 You assume the role of an ordinary bartender named Jill Stingray, who listens to the tales of strangers and regulars at the VA-11 Hall-A bar while she mixes drinks for them. Characters react differently depending on what drinks they were served and how much alcohol they’ve had — and you’ll learn about the dystopian place they all live in, Glitch City. VA-11 HALL-A has one of the best damn soundtracks this generation, I’d honestly say it’s worth picking the game up solely for that reason. Love the game on the Vita, though I still need to finish it. I’m assuming it’s a shared trophy list? Congrats on the PS4 release, guys! I platinum’d VA-11 Hall-A on Vita and noticed all the little similarities in Glitch City and Kanyevania, down to the bottle of Cacique. Truth is stranger than fiction though. I love this game and now that it’ll be available for people who don’t own a Vita, I can’t recommend it enough. For everyone who loves a great story well told, this game is a must. I will continue to support you with this PS4 release and when N1RV Ann-A comes out, and raise a Flaming Moai to your success! Glad to see this finally come to PS4. Will either pick it up digitally or the physical copy through Limited Run. The characters, the ambience, the music, everything is great in this game. I’ve been a huge fan of VA-11 Hall-A since the Prologue era. You guys have caught lightning in a bottle with this title. I’ve gotten several copies of the PC version for myself and friends, I own the Vita version, and you can be damn sure I intend to get the Limited Run games collector’s edition once they confirm the pricing and shipping options. VA-11 Hall-A holds a special place in my heart and I want to support you guys in everything you do. I can’t wait for N1RV Ann-A, by the way. Keep up the great work, and thanks for working despite being under the stress of constant power outages.